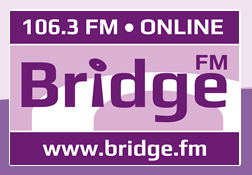 Town and Country Broadcasting are launching Bridgend's Bridge FM on DAB digital radio on 1st September 2015. The station will launch on the Cardiff and Newport local DAB multiplex, which serves Bridge FM's broadcast area. To make way for Bridge FM on DAB, sister station Nation Hits, which is based in Neath, and has a remit to serve the Swansea area will be removed from the Cardiff and Newport multiplex. Nation Hits continues via the Mid and West Wales multiplex, which in turn covers its home turf. Bridge FM is a locally focused music and information station, aimed at 25 to 54 year olds in the Bridgend area, with a commitment to promote the Welsh language. In requesting the change, multiplex operator Now Digital said "the proposed service [Bridge FM] is more relevant to the Cardiff and Newport licensed area and has a broader music choice and target demographic, and so listener choice would be increased." Ofcom confirmed it had approved the station change, which is due to take place at 00:01 on the 1st September 2015.